If Ricky Wysocki and Paige Pierce are both competing at a tournament there is a near certainty that one of them will win, especially if they come back year after year. Unless of course, you are talking about the Ledgestone Insurance Open. The event has been ongoing since 2011. Neither Wysocki nor Pierce played the event until 2015. Since then Ledgestone is the only event that Wysocki and Pierce have both played all three years that neither has won. Pierce has been runner-up twice, in 2015 and 2016, while Wysocki has yet to even make the podium. In 2015 Wysocki finished sixth missing the Final 9 by one stroke. 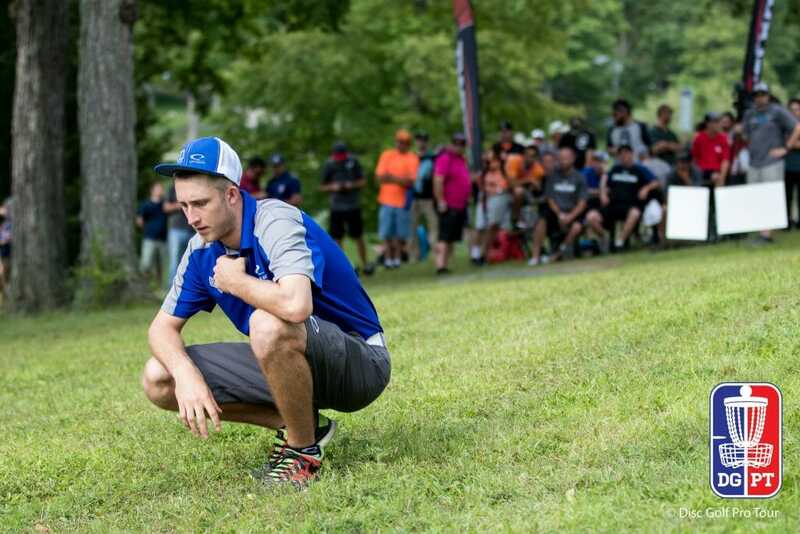 The 2016 Ledgestone was the event directly following the PDGA Professional World Championship where Wysocki won his first world title. And the next week at Ledgestone, he had his only finish outside the top six of that season finishing in 12th place. The 2017 Ledgestone saw both Wysocki and Pierce finish off the podium in their respective divisions. Wysocki found himself in second after round two. He went on to have the worst round of anyone on the lead card in both the third and fourth rounds. However, he still managed his best finish to date, ending up fourth overall, but still thirteen strokes behind winner Josh Anthon. Similarly, Pierce was in third after the first two rounds and had the worst round of anyone on the lead card and fell to the chase card for the final round. She was unable to make up enough ground on the lead group and she too finished fourth overall, twelve strokes behind winner Valarie Jenkins. 2018 shapes up very similar to 2017 for Wysocki as he’s been in Europe for about a month and the Ledgestone will be his first event back stateside. Meanwhile, Pierce is on a pace for one of the greatest seasons in the history of the Open Women’s division. She has won 11 of the 15 events she’s played and finished in the top three at every one of them. She has already all but locked up the PDGA National Tour and Disc Golf Pro Tour points titles with two events still left on each tour. Neither Wysocki nor Pierce needs to win this week for any season or career validation, but it’s hard to imagine a tournament that these two champions want to conquer more than the 2018 Ledgestone Insurance Open. The annual event is certainly one they both wouldn’t mind checking off on their list of wins. With the recent dominance by both champions, the odds are definitely good that one if not both could be hoisting trophies come Sunday. Comments on "Wysocki And Pierce Still Looking For First Career Ledgestone Wins"